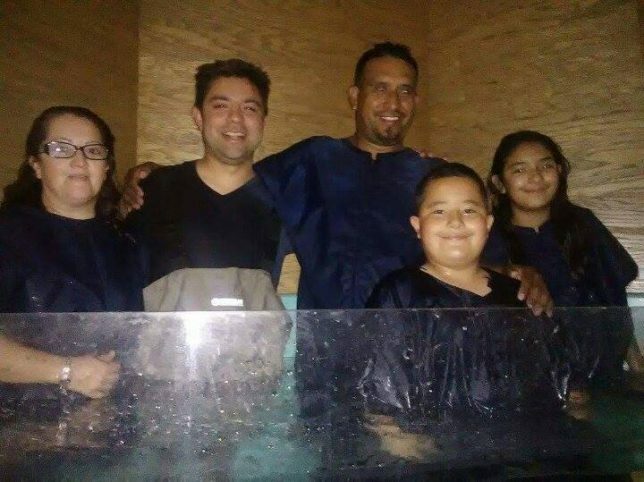 Planting Latino churches that multiply is what Genesis Alliance does. But that's only looking at the surface. Genesis Alliance goes much, much deeper into relational levels with people just as Christ did as he walked and talked with those longing to know more about a saving love. CONNECTS seekers with the Gospel. CONNECTS the Hispanic culture with the American culture. CONNECTS Believers with those looking for something to believe in. CONNECTS the Latin American countries and the United States. CONNECTS the many different cultures of Christ's Church under one love. CONNECTS Spanish-speaking grandparents with their English-speaking grandchildren. CONNECTS disciples who are making disciples. CONNECTS lost souls to the salvation in Jesus Christ. Together, we can CONNECT cultures through Christ. When we love God with all of our heart, soul, mind and strength and we love our neighbor as ourselves, we have placed our priorities in line with God’s priorities. In our new context of American culture, our literal neighbor is probably someone whose roots are found in a different country than our own. Speaking with statistics, it is probably from a Latin American country. We must connect, we must serve, we must love, and we must make disciples of all the nations. We connect by talking, by serving, by modeling, by praying, and by partnering. We give in whatever ways that we can and are gifted to serve. We do what we say we believe. Connecting cultures through Christ requires an investment of time, love, compassion and a Christlike mind that reaches out to a proud heritage and calls them to a relationship with God and his children. In brutal factuality, connecting on deep levels also requires an investment of financial resources from individuals, churches and partnering organizations. A growing population of Hispanics are coming to America but warmly embracing them requires a financial foundation. Additionally, going to Central and South America and other Latin cultures requires prudent use of financial support. This Important Work Needs You. Please contact us to learn more about how God is calling you to financially connect so Genesis Alliance might relationally connect. Or click the Donate button and get involved today!